Donna joined Griffin Law in July 2012 as the Company Accountant. She is a Fellow member of the Association of Chartered Certified Accountants, after qualifying in 2004. Her role involves ensuring the smooth running of the finance and administration departments within the firm. Prior to joining Griffin Law, Donna gained experience in several industries. She was worked for five years in social care, and previous to that, she was the Finance Manager at the Daily Mail newspaper. 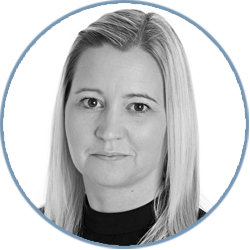 Donna also has four years’ experience in Property, with London & Regional Properties, one of the largest privately owned property companies in Europe. Donna lives locally in Kent. In her spare time she enjoys spending time with her family and friends, and has a passion for shopping.